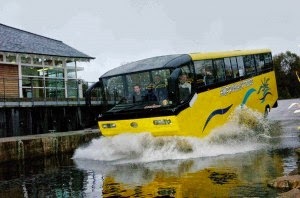 Nigerian auto company, Zonda Global Motors, whose innovative amphibious bus, can create about 20,000 jobs within another three months if the Federal Government will key into the project to improve inland transportation in the nation. 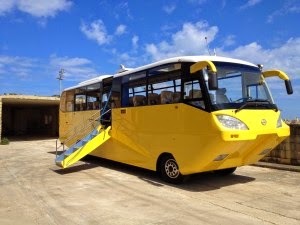 Speaking exclusively to www.gongnews.net the Chief Executive Officer of Zonda Global Motors, King Felix Agbanyim said, “we have the BRT type buses which can propel on land and water. During some critical conditions like floods, heavy winds, both the road transportation and other marine transportation are not efficient. These vehicles are capable of operating in high winds, rains and floods. 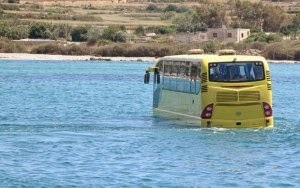 They can drive into an area of heavy flooding and simply boat through it. “We can use these vehicles to reduce the stress of transportation in Lagos by 60%. In Lagos alone, these buses can create about 12,000 jobs. We shall reduce transport stress from Yola to Lokoja, Makurdi, Calabar, Oron, Port Harcourt and Lagos. From Yola to Lagos which by road will take about 14 hours, our buses will do the trip in two hours. Asked to describe the design specification, Agbanyim said, “the single engine is the caterpillar diesel which operates the road wheels. This single caterpillar diesel with a rear engine take off unit operates the marine transmission. The rear engine power take off unit cut off the power from the road wheels and transmits the power to the propeller. All exterior components are treated with the latest corrosion barrier products which can withstand up to 3500 hours of constant immersion in the highest concentration of salt water without any adverse effects. The amphi coach can be serviced at any truck or bus service station which shows that this product has been designed and built with ease of maintenance and limited down time in mind, clients will also have full access to all components and tooling to ensure years of uninterrupted service. Warranty is for 48 months. Back up with expert advice is always available. Zonda global motors limited is charged with the sales, distribution, export, marketing, promotion, representation, Assembling and after-sales service of Zhongda Industrial Group’s products and services in West Africa counties. In Nigeria, a manufacturing and assembly plant project is in the pipeline. It will soon take off.